Pakistan People’s Party (PPP) Chairman Bilawal Bhutto Zardari Friday questioned whether those who refuse to follow the ‘scripted narratives’ would be declared traitors. “Screw you and your narrative, I have an ideology,” he said in a strongly worded tweet. “My ideology doesn’t change, your narrative will keep changing,” he continued. “Read, think, speak, and ignore fascist trolls who run this country,” he advised his followers on Twitter. 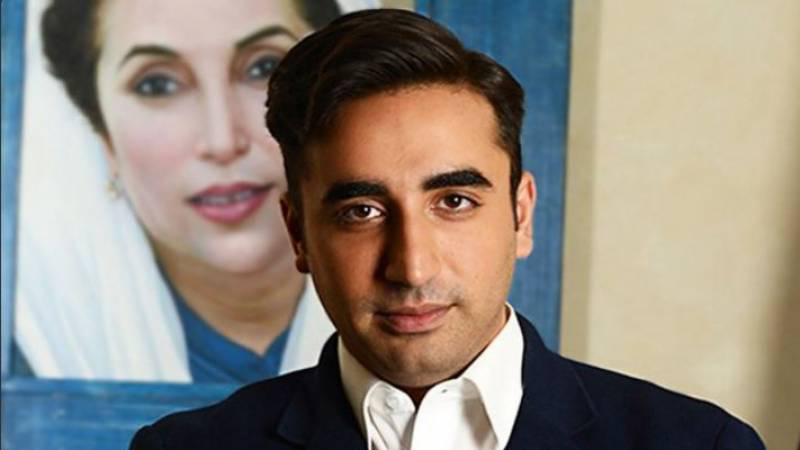 The remarks by Bilawal came a days after a Pakistan Tehreek-i-Insaf (PTI) MPA submitted a resolution in the Punjab Assembly demanding that the government register a treason case against the PPP chief for his alleged anti-Pakistan statement. On Thursday, PTI MPA Mussarat Jamshed Cheema in the resolution had said that Bilawal’s statement about government’s action against proscribed organisations as ‘protective cover’ was no less than treason as it reflected the ‘Indian narrative’. Meanwhile, in his message on the eve of Pakistan Day being celebrated across country on Saturday (today), Bilawal warned the elements who are hitting axes at the very roots of the ideology of Pakistan and urged the nation to reiterate its commitment and conviction to the founding fathers’ vision about the country. He stated that the proud nations build strong narratives encompassing their national interests and the welfare of the people instead of toeing individual doctrines, which are eventually evaporated and shattered by changes in the international and regional situations. “Pakistan Day reminds us of our utmost responsibility to follow the footprints of the founders for establishment of a democratic society with peace, justice and protection of human rights as hallmarks of the system,” Bilawal said. ‘Extremism and terrorism have bruised the whole nation and are still posing serious threats, which need strong will to deal with as cosmetic and ad hoc policies on the issues have always backfired,” he added. Bilawal pledged that his party will continue to fight against all odds, injustices and victimizations to achieve the dreams of the founder of the nation Quaid-e-Azam, Shaheed Zulfikar Ali Bhutto and Shaheed Benazir Bhutto for a peaceful, progressive and prosperous Pakistan. While paying rich tribute to Mader-e-Jamhooriyat (Mother of Democracy) Begum Nusrat Bhutto on her 90th birth anniversary, Bilawal said she was a brave and steadfast great daughter of Pakistan who offered the sacrifice of her entire family for the sake of the country. He said the history of the country won’t go ahead without mentioning the sacrifices of Begum Nusrat Bhutto and her family. After Shaheed Zulfikar Ali Bhutto was judicially assassinated, she led the movement for the restoration of democracy and challenged the then dictator, he added.